There are smiles all around as the huge news breaks about popular South African film “Skoonheid” winning at the Zurich Film Festival last weekend! And that’s not all… it’s also been selected as the South African entrant for the Best Foreign Language Film category at the Oscars next year! Looking on their website, one is proud to be South African as you scroll through all the news, reviews and press releases for this daring film which has clearly taken the international film world by storm. The film is about a white, Afrikaans man in post-Apartheid South Africa who has “become devoid of any care or concern for his own measure of happiness” in his hopeless existence. Convinced of a predictable outcome to a life he hates, he is taken by surprise when a chance encounter absolutely unravels it and causes waves in his “clean, controlled” world. A journey begins where he loses control of his boundaries and starts to break his own rules; as he develops a conflicted infatuation with the 23-year-old son of an old friend. With strong influences of South Africa’s controversial history, the film’s angle is taken from what it’s like being a white, Afrikaans-speaking conservative man part of the minority in a post-Apartheid South Africa. His deepest secrets and desires are privy only to the audience who become aware of his many emotions including his fears, his angers and his jealousies. It was directed by Oliver Hermanus and produced by Didier Costet. “Skoonheid” means “Beauty” in English. The Zurich Film Festival announced its winners on the last day of an 11-day festival, and South African actor and star of the film, Deon Lotz, walked away with the award for best actor for his performance. 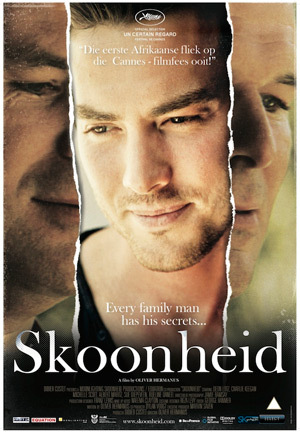 “Skoonheid” was the first Afrikaans film to ever have been shown at the Cannes Film Festival, where it walked away with the Queer Palm award in May this year. The award was for its contributions to lesbian, gay, bisexual or transgender issues. As far as the Oscars 2012 go, we are all holding thumbs. 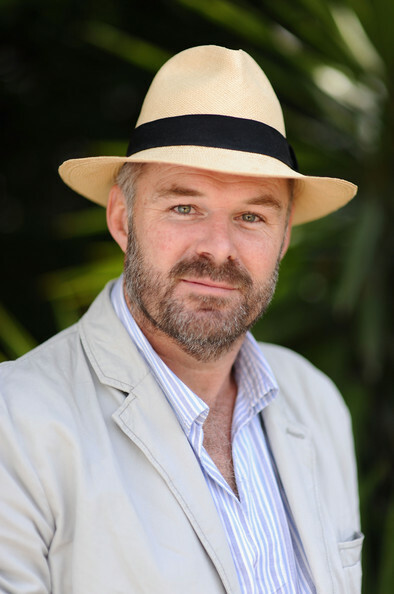 Read more about the synopsis of the film, the news, the reviews, as well as about the director and his notes for the movie on the film’s official website: http://www.skoonheid.com/beauty_ang.html. You can also see the trailer here!